Perfect for a child's room or entryway, the pack rack from The Future Perfect is designed from certified sustainable black walnut or pine. 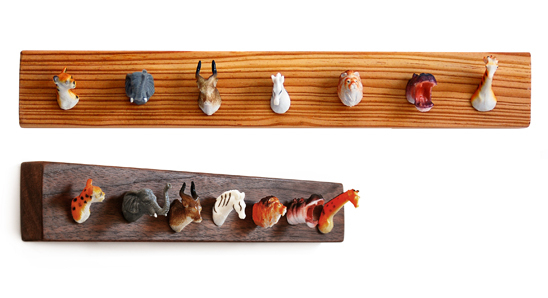 The animals are the ideal spot to hang your favorite items! Click here for more information.